i b i k e l o n d o n: Cycle helmet laws? On your bike, W.I! Cycle helmet laws? On your bike, W.I! If you close your eyes and picture the Women's Institute you'll come up with one of two images; old ladies singing "Jerusalem", making jam and stripping off for calendars, or of one of the UK's largest, most effective and powerful campaigning groups which brings local communities together and has a powerful national voice. I rather like the WI. My local branch, in Hackney, is famously quite fierce and does some incredible work in the local community. Nationally they work to support local Libraries, legal aid for women, African education projects and bring to bear their not insignificant weight on a whole host of worthy issues. The WI are currently deciding what to adopt as their campaigns for 2012, and the pro-helmet brain injury charity "Headway" have managed to table a resolution calling for Mandatory Helmet Laws, which has been short-listed. Does she look like a law breaker to you? If this is passed the WI will be obligated to lobby our national Government to introduce a national helmet law. Those of you who are well versed in cycle advocacy will already know that it would be disastrous for our fragile state of cycling levels as it is. In Australia, where helmet compulsion has been law since the 1990s, bike riding levels dropped by a third, obesity levels grew and grew (don't believe the Speedo adverts, I've lived in Oz, there's an awful lot of fatness around) and national head injury rates remained the same. That is to say, the introduction of a mandatory helmet law has been worse for public health than allowing informed adults the right to choose. Now, I'm not saying that helmets are bad. If I was mountain biking on some crazy alpine dirt track at speed and leaping off rocks I'd definitely wear a helmet. If I was training at the velodrome on a brake-less bike, cycling round and round at many miles an hour I'd definitely wear a helmet. But out on the streets, where I choose a route that takes me down quiet back streets, where I ride a very sensible bike with excellent brakes, and go at a safe pace I don't want to always have to wear a helmet. And as an adult who is aware that there is no academic consensus as to whether small polystyrene hats designed to only mitigate against impacts brought about from cycling up to 12mph, I want the choice as to whether I should be able to wear a helmet or not. Resolution 6 currently being considered by the WI is very very poorly thought out, but here's the thing... More men than women ride here in the UK, more adults than older people and more singles than families. The WI are exactly the sort of people who should be looking at the state of cycling in the UK and thinking "Where did we go wrong?". Their members are exactly the sort of people I would love to see having the confidence and the ability to ride every day - that's the sort of thing that keeps me campaigning. So I'm really happy to see the Cycling Embassy of Great Britain, in collaboration with ibikelondon and the website This Big City, Cyclists in the City of London on this issue; we've written a letter to the WI members asking them to reject the mandatory helmet law motion and encouraging them instead to think about campaigning for the sorts of streets we'd all like to see where equality, safety and access for all are the norm, instead of some far off pipe dream envied from across the North Sea. The full text of our letter is below and we'd love it if you'd join us in signing too and supporting it. Just click here and add your name! We are writing to you today with regards to the 2012 proposed resolution (6) which the Women's Institute is current considering regarding bicycle helmet compulsion. We at the Cycling Embassy of Great Britain welcome the fact that the Women’s Institute is taking an interest in the safety of cyclists. Far too many bicycle riders, young and old, are killed and injured on the UK's roads every year. Many more will never even contemplate something so simple as riding a bicycle - or have tried and given up - through being too scared to mix with heavy and fast traffic on Britain's main roads. We do not believe that the way to remedy this situation, and to increase cyclist's safety, is through compulsory helmet laws. As is stated in the summary of your resolution in the pros and cons, the focus of the resolution as it stands is currently very narrow and is likely to put people off cycling; something we have already seen happen in Australia and New Zealand. Both countries adopted compulsory bicycle helmet laws in the 1990s and both now see almost a third less cyclists on their roads. Recent research published by the Health Promotion Journal of Australia found that 1 in 5 adults would start cycling, or cycle more, if such laws weren’t in place. In 2008, the New Zealand Transport Safety Minister Harry Duynhoven publicly acknowledged that such laws are putting people off cycling. Urban cycle hire schemes in Melbourne and Brisbane have struggled to find an audience, with Aukland’s equivalent folding after failing to cover its costs. This whilst equivalent schemes in Paris, Barcelona, Montreal, Toronto, Washington DC, Mexico City and London (to name but a few) have seen huge success with hardly any accidents. London’s accident rate is a minute 0.002%. It can be argued that the consequence of a compulsory helmet law is a greater risk to public health than making cycling safer in other ways. With less people engaging in everyday exercise like cycling, as in Australia and New Zealand, the risk of obesity and the many associated health problems increases. Even if cycle helmets protect against head injuries - and it is imperative that the Women's Institute is made aware that there is no conclusive evidence or academic consensus that they do - compulsory cycle helmet laws bring with them their own negative health repercussions. Obesity cost the NHS an estimated £4.2 billion pounds in England alone in 2007, with the NHS themselves expecting a £50 billion annual cost by 2050 should current trends continue. Any motion which encourages easy, everyday exercise like cycling should be applauded, but there is not one single example of a compulsory helmet law increasing rates of cycling. We at the Cycling Embassy of Great Britain believe in prevention rather than cure. Cycle helmets do not prevent accidents from occurring the first place and we believe it is more effective to reduce cyclist's exposure to danger rather than try and mitigate against being exposed to it. 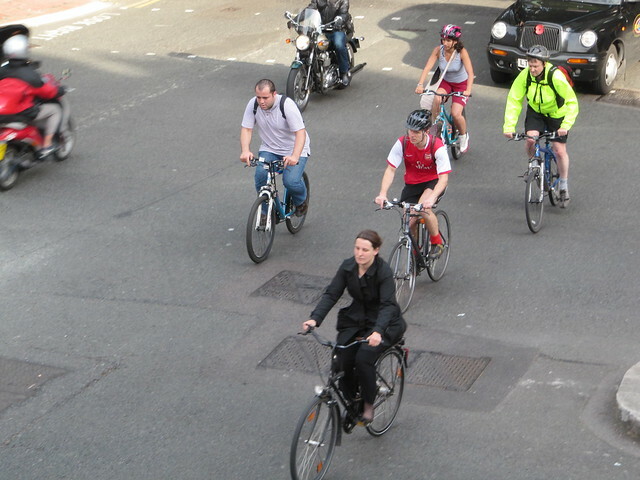 Mandating helmet use for those who are comfortable cycling in our present road conditions, whilst not considering those who would like to cycle but are too afraid is not the way forwards for a safe, successful and equitable society. A lot of us are able to remember that when we were children, our bikes were our passports to freedom and independence. There is no reason why this cannot be the case for current generations. There are cities and countries who already achieve safe mass cycling rates; we should look to their successful examples rather than countries, like Australia, where mandatory helmet laws have been disastrous. In the Netherlands, children are still free to go to school unaccompanied, on their bikes, on average from the age of eight. That is because their roads and towns are designed to make cycling safe for all ages, from children with stabilisers all the way up to grandparents and great grandparents. The result is civilised streets and happy children. In a 2007 UNICEF study, the Netherlands came top for safest roads and child wellbeing. Whilst levels of cycling dropped by almost a third in Australia, obesity increased dramatically. Australia now has the fastest growing obesity rates of any developed country, with 1 in 2 people overweight. Additionally, since introducing mandatory cycle helmet laws, neither Australia nor New Zealand has seen a reduction in head injuries beyond the general trend for the population at large. Traffic safety in the Netherlands is the best in Europe, and obesity is among the lowest of any developed country in the world. We believe that with pragmatic problem solving at the root cause, and hopefully a bit of imagination, the UK could achieve the same. The undersigned call on the Women's Institute to reject Resolution 6 calling for compulsory helmet laws and to focus instead on creating conditions in which all members of society will feel safe and comfortable riding a bicycle:"
There's an interesting juxtaposition between this post and your previous post. There, the Kings Cross vigil highlighted the very real dangers of cycling in London on the major roads. It brought home to us the unacceptable level of casualties and the very real personal tragedies they represent for those close to the victims, which will no doubt be hard felt at this time of year. However, this does not mean that cycling is dangerous per se, and it is still true that in overall benefit terms taking up cycling will more likely enhance and prolong your life. The WI's motion is misguided in so many ways, especially as objective research findings and the experience of other countries tell us that compulsory helmets reduce cycling, they only deal with a small part of road dangner and that, not terribly effectively, and cyclists are by no means the only, or indeed the most, exposed to head injury risk on our roads or indeed anywhere else. As a womens' (and therefore as a mothers') organisation, the WI should focus its attention on making our streets safe for people. When I was a child I routinely went out to play on the street. How many parents feel confident to let that happen today? Is the WI going to suggest that the kiddies should don protective gear and high vis before the go out to kick a ball around in the street? Your observations on Australia are spot on. Utility cycling here is a disaster, and we have become a timid nation of obsessive risk avoidance (not to be confused with being safe). The WI also need to know that compulsory helmet legislation affects women more than men, with the lowest women's participation rates for cycling in the countries which most promote, or worse still,mandate helmet wearing. Women just won't ride in significant numbers under these circumstances. The WI also needs to think through the consequences of "compulsion" and how you deal with the non conformists who still want to ride. My own wife ended up spending a night in jail while seven months pregnant as she refused to pay a fine for not wearing a helmet. Is this really what the WI wants? Good idea getting the Ladies on side, in my experience getting them in your corner usually ends up with you getting your way! An excellently worded argument and well worth supporting - I have signed the petition. The WI are exactly the kind of organisation that should be supporting campaigns like the LCC 'Go Dutch' and the Cycling Embassy of GB. I hope this petition helps to enlighten them. Thanks everyone for your interesting comments; it's great to have your support on board. There's still plenty of time to support the letter by signing over on the Change website - nearly 1000 of you have done so already! Nice emotional, fact-free post. Lots of exclamation marks though, so it must be true!!!!!! How about, ride a bike, you'll live longer, be fitter, healthier and wealthier and a better parent because of it. Nowhere with a helmet law or massive rise in wearing because of propaganda campaigns can show any reduction in risk to cyclists. Those nice Aussies and Kiwis have very kindly done the helmet experiment for us, and it's failed completely, leading to fatter, sicker societies. Is the WI really in favour of that? I can't believe that there are no better worthwhile causes to lobby on. So far there is no research that I am aware of that says wearing a hemet decreases the chance of a head injury when cycling. However, I am also on the committee for my WI and am currently arranging talks and workshops which will encourage people to wear helmets. I will indeed be wearing one. I do respect that it is a choice, but am shocked at the amount of people not wearing one. I am pleased that I read this post though, because, much like the his-vis argument, it almost renders a cyclist to be invincible to traffic. They are armoured, so they can take a bashing kind of thing. I do not believe that the helmet law will ever pass so soon because the cycle hire scheme do not want to miss out on custom from informal cyclists. What I took from the campaign, is safety more than anything. I will blend your opinion in though, I have never thought of it quite so much this way. With the stereotypical age of the WI being not the stereotypical demographic of a cyclist, it's not surprising that they too have not thought of this campaign in the particular light discussed. 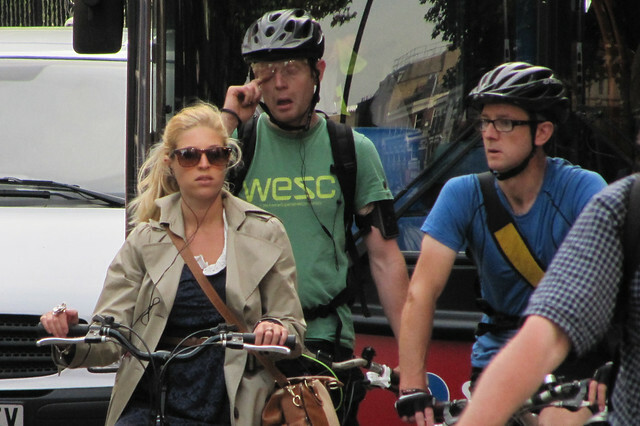 Pushbike helmet laws have put a curse on Australia and New Zealand. It's time we got rid of this evil law that's negative in every way. There are no benefits from compulsory pushbike helmet wearing. I want a return to democracy freedom of choice and civil liberty. Bicycle helmet laws have been a disaster for: utility cycling, bike share schemes, tourism, the economy, health, safety, the environment, freedom and democracy. The BICYCLE HELMET RESEARCH FOUNDATION has an article on: Pushbike helmet laws discourage the safest cyclists. This is recent research from Norway. A child only helmet law was passed in Alberta, Canada in 2003. The number of child cyclists dropped but injury and accident rates went up for children. The reverse happened for adult cyclists at the same time. The bicycle helmet law was introduced to New Zealand without any parliamentary debate, public consultation or proper research.This type of public control and manipulation is a form of Witchcraft that has robbed us of freedom and eroded civil liberty. Bicycle helmet laws make bike share schemes unworkable, causing them to fail, like the one in Auckland. Pushbike helmet laws have caused bike share schemes in Melbourne and Brisbane to perform poorly. Their performance is less than 10 percent compared to bike share schemes in countries and states without a helmet law. The only reason these bike share schemes survive is because they are funded by the taxpayer or ratepayer. Pushbike helmet laws reduce the number of people cycling, and leads to less demand for better, safer conditions for cycling. This is bad for public health because of a lack of exercise and a huge increase in obesity related diseases. It is bad for the environment, due to an increase in pollution, noise and congestion from motor vehicles. Compulsory bicycle helmet laws reduce the quality of life. There have been no benefits from mandatory helmet laws. I have no desire to live in a country or state with a bicycle helmet law. The governments of New Zealand and Australia are so stupid and won't listen to reason and admit that they are wrong about mandatory pushbike helmet laws. I want to leave New Zealand and Australia behind and go somewhere where there are no adult helmet bicycle helmet laws and preferably no child bicycle helmet laws either. Bicycle helmet laws put the majority of people off cycling. This reduces the quality of life in a many ways. 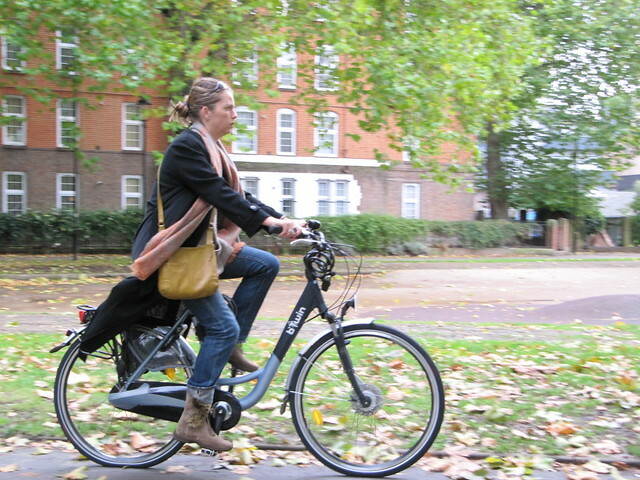 The bicycle helmet law has put most people off utility cycling without any improvement in safety. Cyclists should be allowed to ride on the footpath. There is no law against riding bicycles on the footpath in Queensland, Australia. All bicycles should be fitted with a bell and a spring seat. There is no good substitute for a spring seat. Cycling on the footpath is legal and common practice in Japan. Cycling on the footpath should be allowed in every country, state and city. I often ride on the footpath to avoid the danger of motor vehicles and encourage others to ride on the footpath carefully, respecting the rights of all footpath / sidewalk users. Bicycle helmet laws make cycling dangerous by reducing the effect of safety in numbers and increasing risk compensation. pushbike helmet laws put a lot of people off cycling and reduce cycling hours, which is bad for public health and the environment and leads to less demand for better, safer conditions for cycling. Pushbike helmet laws reduce the quality of life in many ways. Bicycle helmet laws have been a disaster for bike share schemes, utility cycling, tourism, the economy, health, safety, civil liberty, democracy, freedom, and the environment. Bicycle helmet laws make bike share schemes unworkable, causing them to fail, like the one in Auckland. Attempts to set up bike share schemes in Porirua and Palmerston North in the 1990s floundered due to the helmet law. The pushbike helmet law has robbed us big time! THE HELMET LADY pushed for the push bike helmet law in NZ. Pushbike helmet laws have caused bike share schemes in Melbourne and Brisbane to perform poorly. Their performance is less than 10 percent compared to bike share schemes in countries or states without a helmet law. The only reason these bike share schemes are surviving is because they are funded by the taxpayer or ratepayer. The mandatory bicycle helmet laws in Australia and New Zealand have been a tremendous victory for the FATHER OF LIES over the last 20 or more years. Pushbike helmet laws have been a political success but they are an ABJECT FAILURE in every other way. SCRAP THIS EVIL LAW! Israel, Mexico city and Dallas, Texas have repealed their pushbike helmet laws so that their bike share schemes can succeed. In polystyrene stack-hats we trust?!?! I'm totally against helmet laws and pushbike helmets.